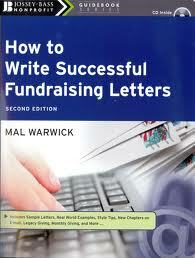 You’ll learn all the essential components of writing for success from this go-to book for writing for fundraising! Mal Warwick, the nation’s premier letter-writing tutor and direct mail expert, shows you the essential tools for making your direct marketing program a success. He gives you both general advice about the most effective direct mail strategies and specific guidance. Learn his step-by-step model through all the critical stages -from laying the groundwork for a prosperous campaign through the importance of thanking donors. Includes new chapters on E-mail solicitations, monthly and legacy giving and free downloads on josseybass.com.